It's official. Netflix has become the first streaming service to join the Motion Picture Association of America. Following the news that Netflix had finally scored a Best Picture Oscar nomination for Roma, word broke that they were in advanced talks to join the MPAA, one of the most important organizations in Hollywood, as they're not only responsible for handing out ratings for movies, but they also offer certain content protections as well, which is key. Now, it's been officially announced and the implications are pretty major. The current MPAA members include Disney, Paramount, Sony, Fox, Universal, and Warner Bros. These are all more traditional Hollywood studios. Netflix, meanwhile, is primarily a streaming service, but they have been churning out tons of original content over the past handful of years and have been attracting A-list talent, such as director Alfonso Cuaron for Roma, to make movies for them as opposed to a traditional studio. Joining the MPAA is one major step toward them cementing their place as a real-deal, legitimate player in the business. MPAA Chairman and CEO Charles Rivkin had this to say in a statement. "On behalf of the MPAA and its member companies, I am delighted to welcome Netflix as a partner. All of our members are committed to pushing the film and television industry forward, in both how we tell stories and how we reach audiences. Adding Netflix will allow us to even more effectively advocate for the global community of creative storytellers, and I look forward to seeing what we can all achieve together." For Netflix, this means that their original movies can now be given ratings by the MPAA in the future. The company has historically not had much interest in theatrical releases, but they have explored that more over the past year with titles like Roma, The Ballad of Buster Scruggs and their major hit Bird Box. It's possible that this could lead to more theatrical engagements in the future. Netflix Chief Content Officer Ted Sarandos had this to say in a statement. "Joining the Motion Picture Association further exemplifies our commitment to ensuring the vibrancy of these creative industries and the many talented people who work in them all over the world. We look forward to supporting the association team and their important efforts." Another key to this move has to do with the upcoming Disney merger with Fox. Once that happens, one of the six major studios will be taken out of the equation. That also means that $10 to $12 million in annual dues to the MPAA will disappear. With Netflix now part of the organization, they will be there to cover those future losses. This is also important, as it sets a precedent for the future. 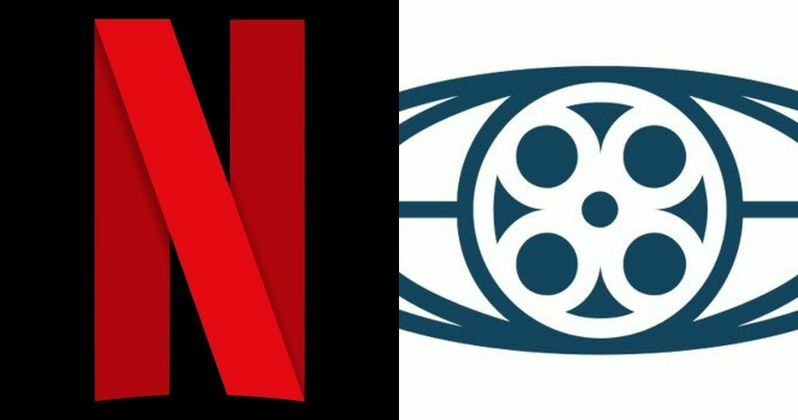 As other companies, such as Amazon, Apple and Facebook, make a push for the streaming game, it's at least conceivable that they could eventually join the MPAA as well. That's not to say this will happen anytime in the immediate future, but the door is at least cracked open for that possibility. This news comes to us directly from the Official MPAA website.